Prince George, B.C. – The Prince George Public Library and Civic Centre are the places to be for those wanting to check out day two of the Beyond Hope Conference. 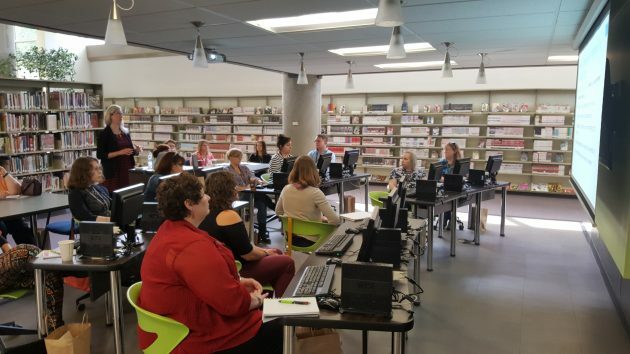 About 130 delegates are in town for the two-day event which aims to bring together libraries from throughout B.C. – primarily northern B.C. – to share expertise and education sessions. She says the conference got off to a great start yesterday with a keynote speech from award-winning author Ivan Coyote with more interesting sessions scheduled for today. “Dr. Rheanna Robinson and Erica Hernandez-Read are coming from UNBC to talk about the Truth and Reconciliation and they’re going to share some thoughts on how to put some of those recommendations into practice,” says Dhanjal. The biennial conference is organized by Prince George Public Library staff and is made possible through sponsorships and registration fees. It adopted the name ‘Beyond Hope’ years ago as a tongue in cheek way to express the limited learning opportunities there were north of the community of Hope.